Stage by stage Inspection & Testing is executed by experienced specialised engineers during manufacture and prior to shipment. All inspections and tests are based on applicable standards, specifications, approved drawings and the agreed inspection and testing manuals to ensure that the manufactured equipment is in accordance with the contractual specifications and the requirements of the process of production, taking into consideration the conformity of equipment with the high standards of current engineering practice. The above inspections and tests are carried out at the manufacturer's premises jointly with the manufacturer's personnel in accordance with contract terms. Owing to AUSTROPLAN's close cooperation with research institutes and technical universities, our inspection teams have the facilities to carry out analyses and various special tests. Inspection reports (complete with supporting test certificates, mill sheets, etc.) 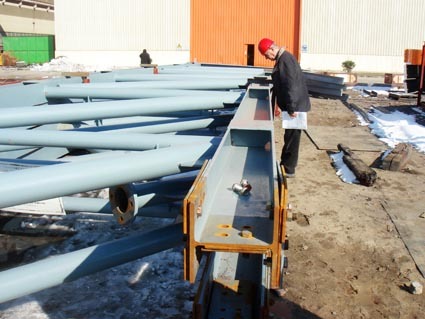 are prepared for each inspection and issued to the Client at regular intervals.